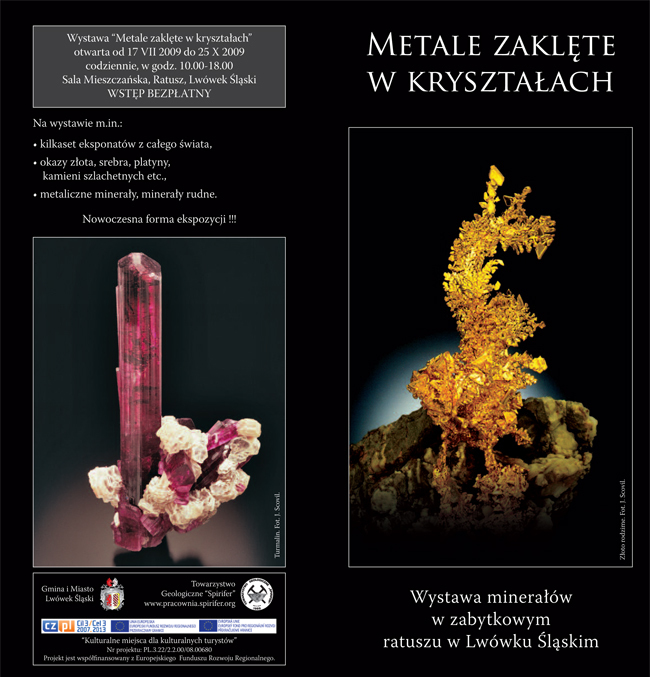 Our society is co-organizing Lwowek Crystals Days - the biggest mineralogical event in Poland (40.000 visitors - most of them interested in other attractions of the event, not minerals - but we are trying to change that). 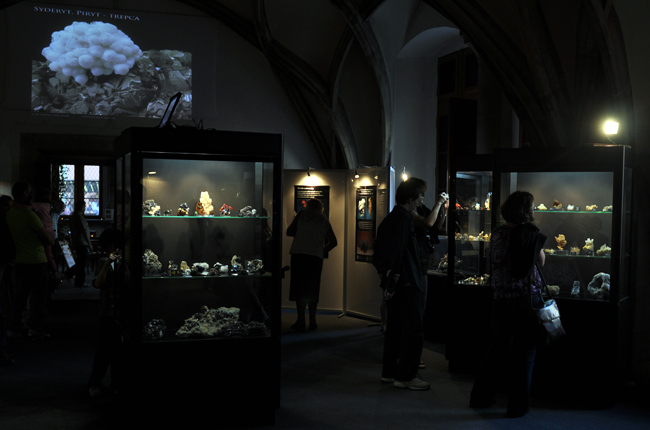 You can read photo-report from this show in the Mineralien Welt (5/2009). 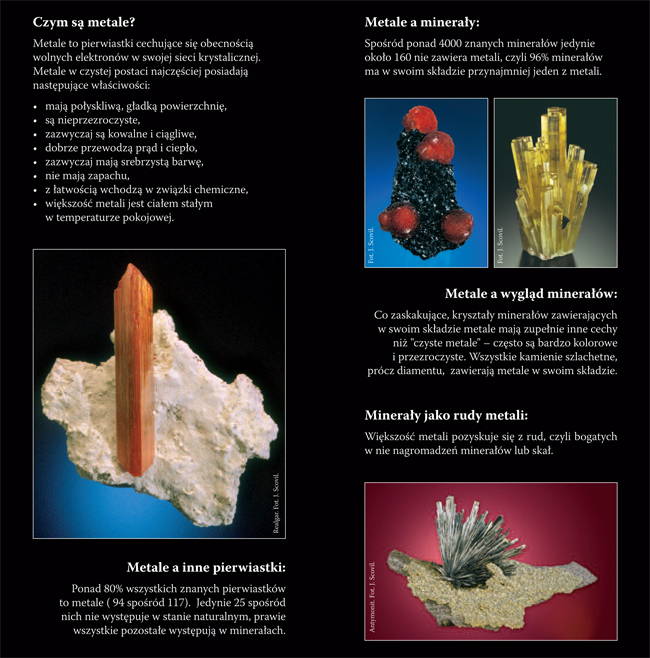 We are doing it non-profit as one of Spirifer Society`s activities which is geological education and popularization of minearalogy, mineral collecting and geology among children and adoults. 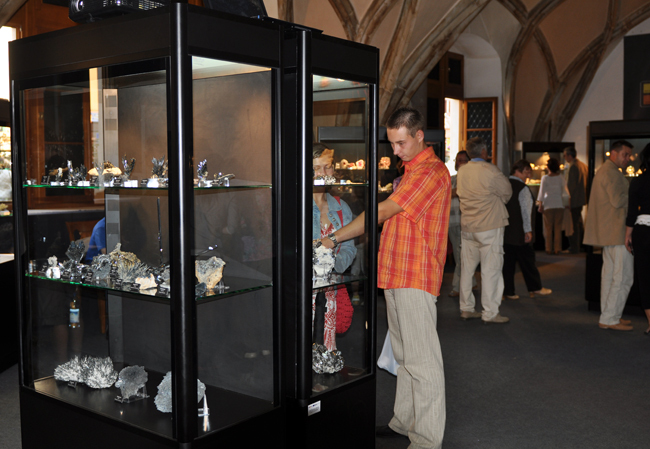 One of our works we do during Lwowek Crystal Days is organization of a few exhibitions every year. 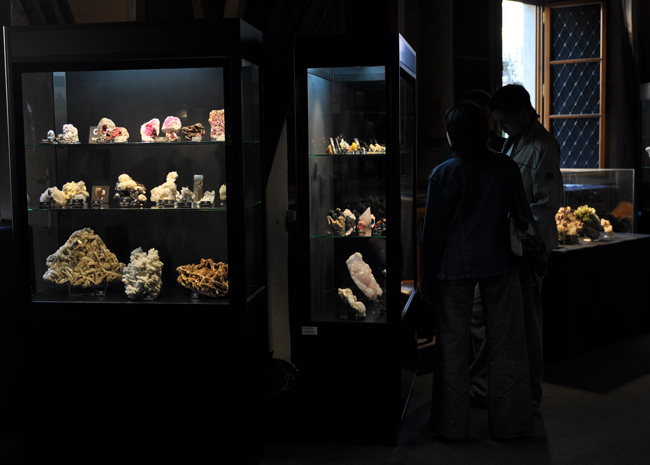 Here we wanted to show you our last main exhibiotion that was called - "Metals changed into crystals". This time it was very special because it lasted 100 days (not only during the event as it used to). 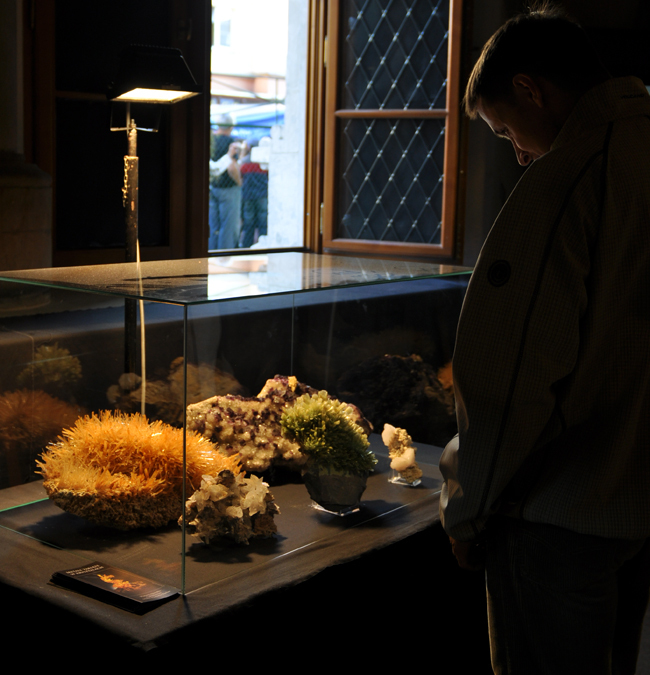 It was situated in the historic halls of Lwowek`s town hall, the entrance was free for everybody, constisted of over 20 modern cabinets with power LED lighting system and some smaller showcases in which over 800 speicmens were showed. 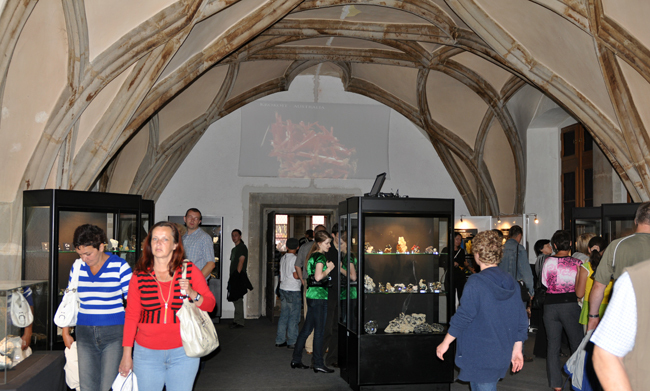 Tens of thousands of people visited the exhibition including a lot of shool tours. 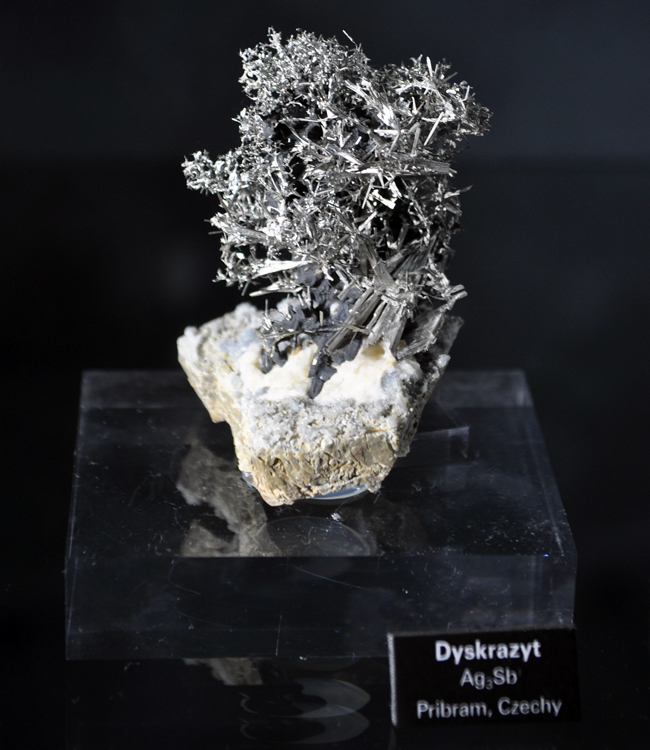 The aim of this exhibition was to show to people especially children that our world is full of metals and they are not only iron, copper, lead, gold, silver as most of us imagine, but also sodium, calcium, uranium, thorium and many many more - together they fill over 80% of the periodic table of elements. 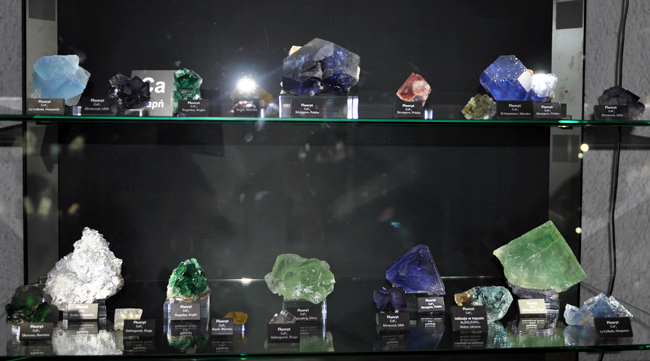 What is more they can occur in the form of beautiful crystals and can influence eg their color. 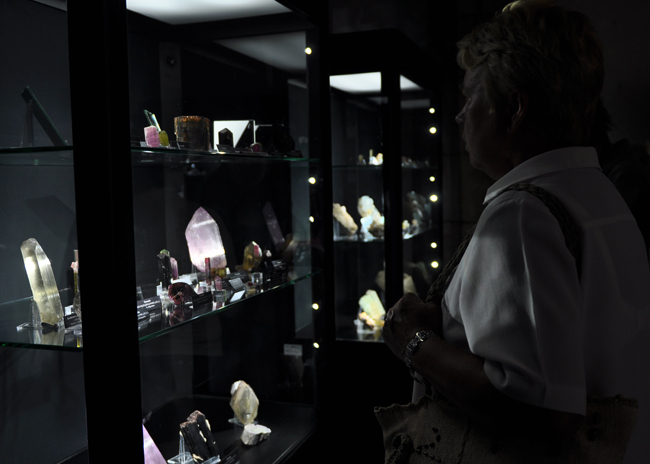 Only 160 minerals among over 4000 that are known does not contain metals. 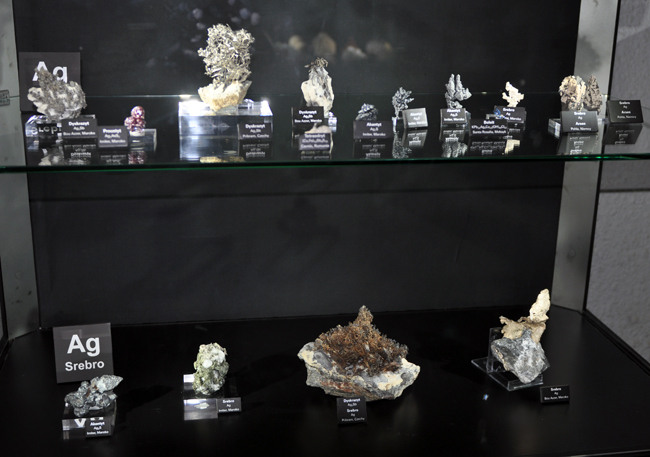 We divided minerals into those containing different metals in their composition and put them in separate cabinets - each one with its formula. Below you can see some booklet that was distributed on the exhibition, some photos from preparation and the time it was open to public, and a few "panorams". 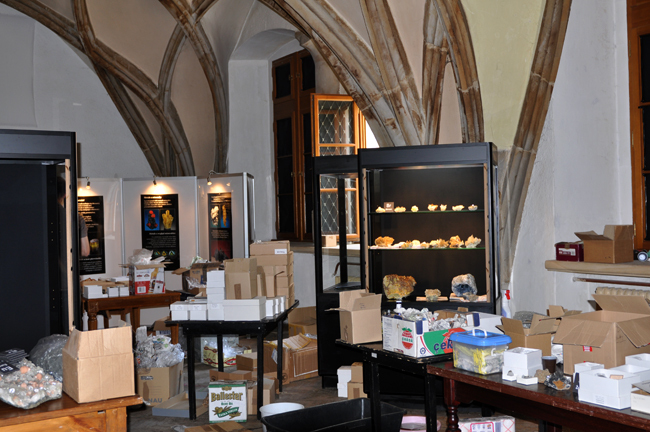 Almost all of the specimens come from our collection. 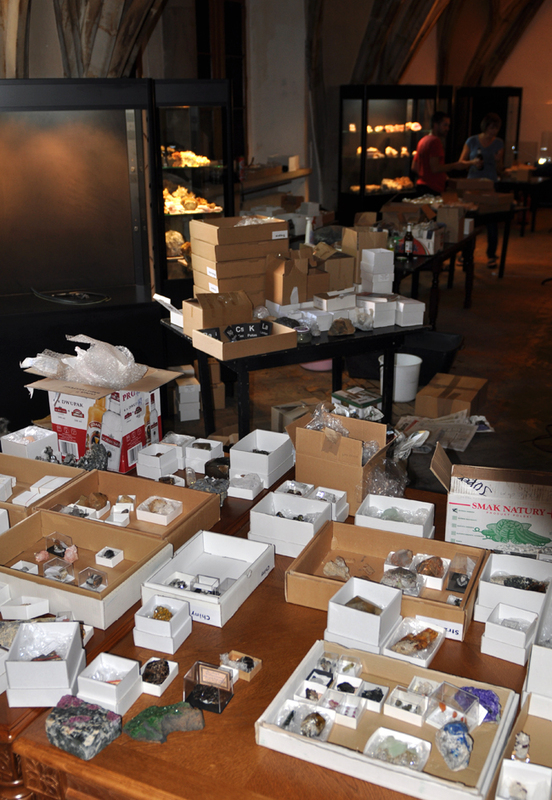 During preparation - we took with us a lot of specimens to choose from. Fot. J. Gajowniczek. During preparation. Fot. J. Gajowniczek. 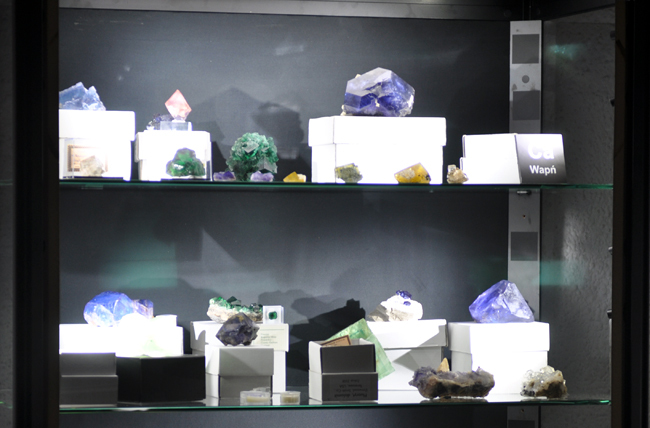 Cabinet with Calcium minerals- this one contains only fluorites. Fot. J. Gajowniczek. 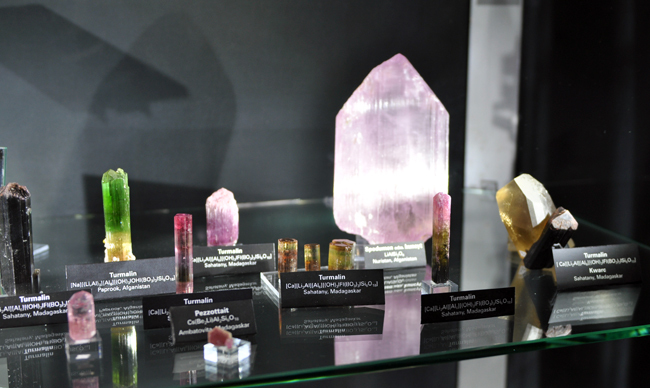 Cabinet with lithium minerals- mainly tourmalines. Fot. J. Gajowniczek. 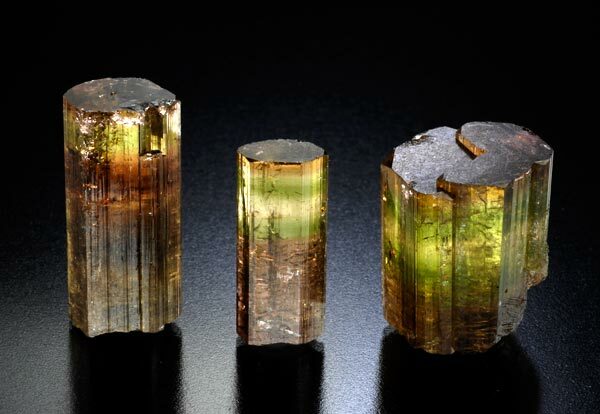 Tourmalines from Madagascar, visible at the previous photo. Fot. J. Scovil. 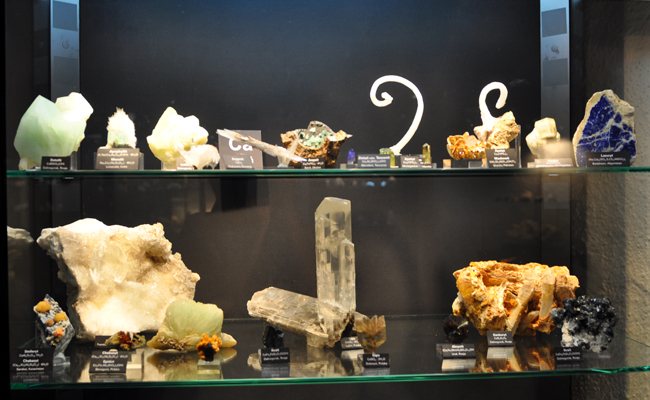 Cabinet with Calcium minerals- this one mainly with calcites. Fot. J. Gajowniczek. 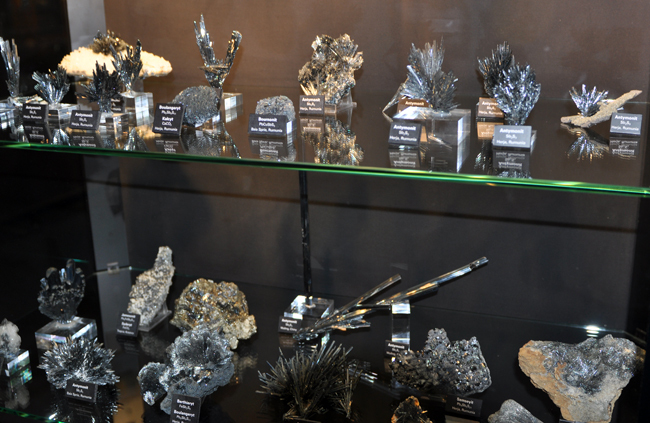 Cabinet with antimony minerals- mainly stibnite and berthierite. Fot. J. Gajowniczek. 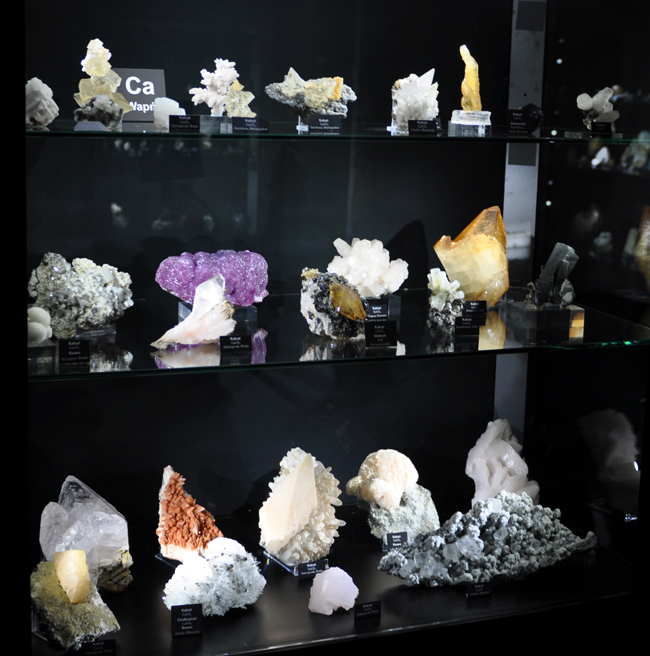 Cabinet with calcium minerals- very big variety. Fot. J. Gajowniczek. 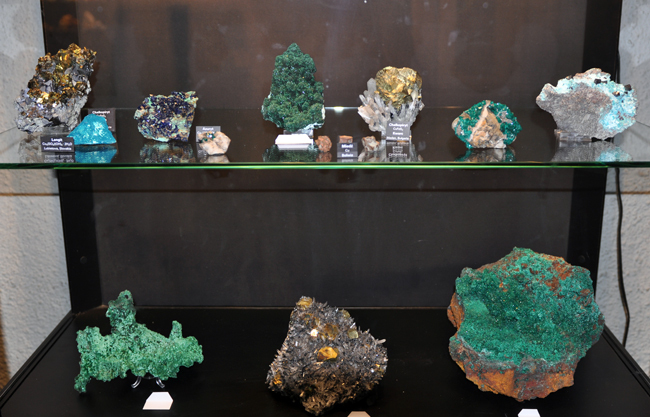 Cabinet with copper minerals. Fot. J. Gajowniczek. 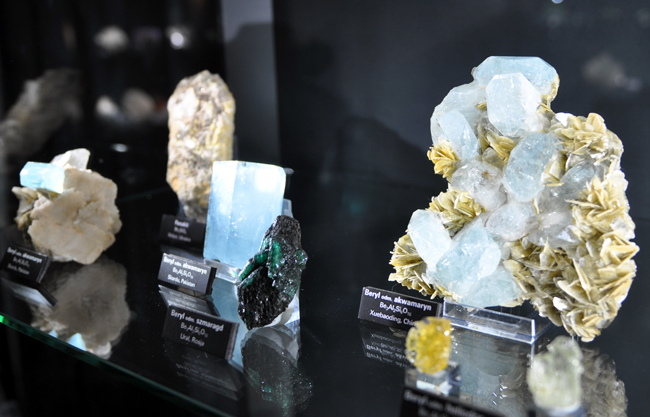 Cabiner with berillium minerals. Fot. J. Gajowniczek. 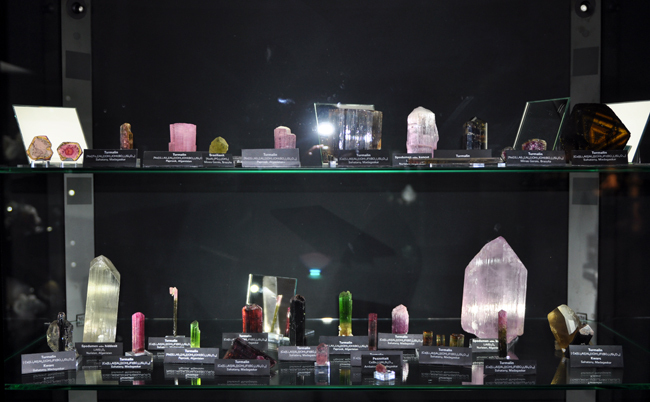 Cabinet with silver minerals. Fot. J. Gajowniczek. Dyscrasite from the cabinet above. Fot. J. Gajowniczek. 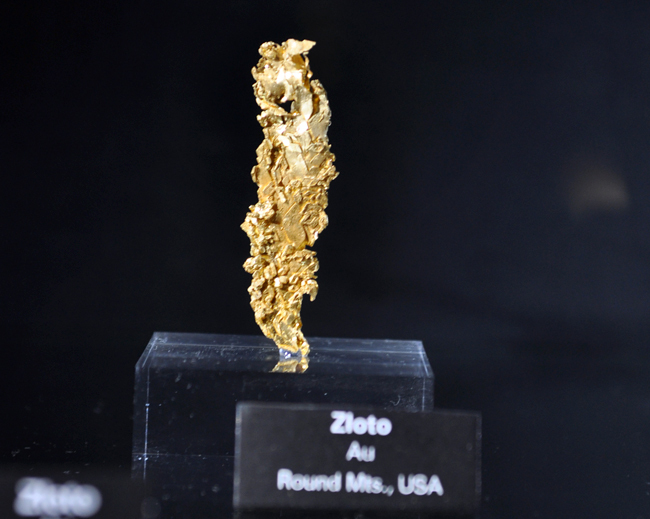 Gold from Round Mts. Fot. J. Gajowniczek. 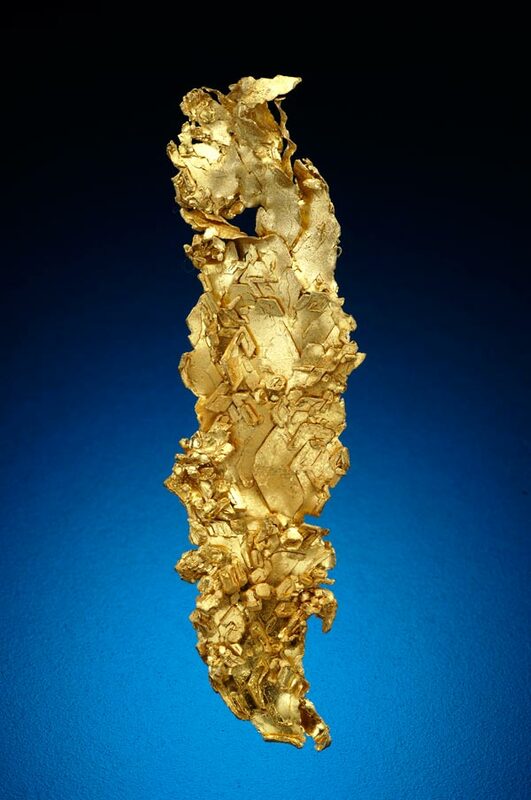 Gold from Round Mts. Fot. J. Scovil. 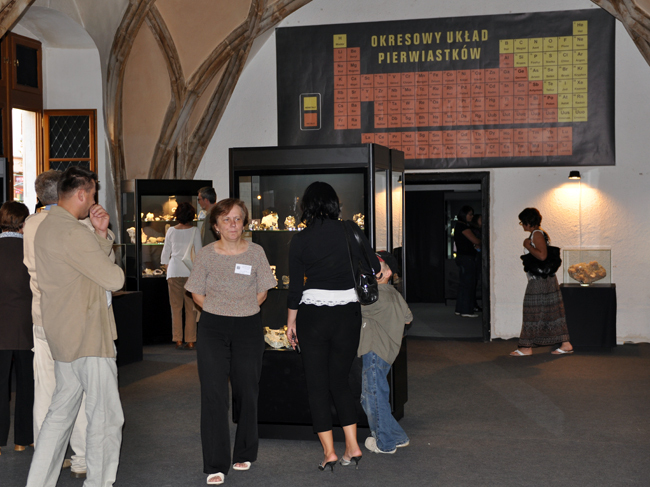 Crowded hall during Lwowek Crystal Days. Fot. J. Gajowniczek. Gigant periodic table visible on the wall, metals are marked with orange color. Fot. J. Gajowniczek. 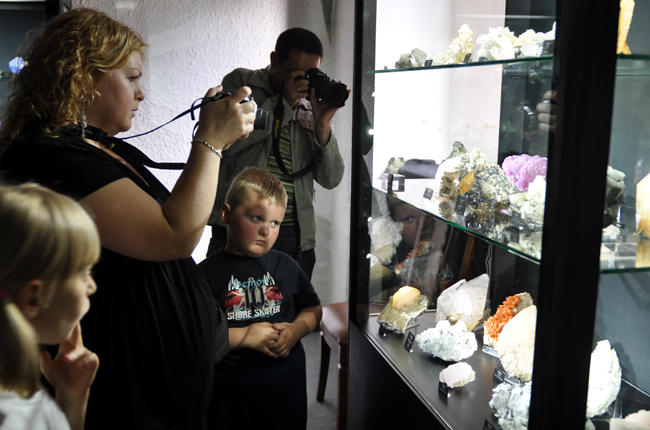 Visitors during Lwowek Crystal Days. Fot. J. Gajowniczek. Houndreds of specimens photos were projected on the wall. Fot. J. Gajowniczek. 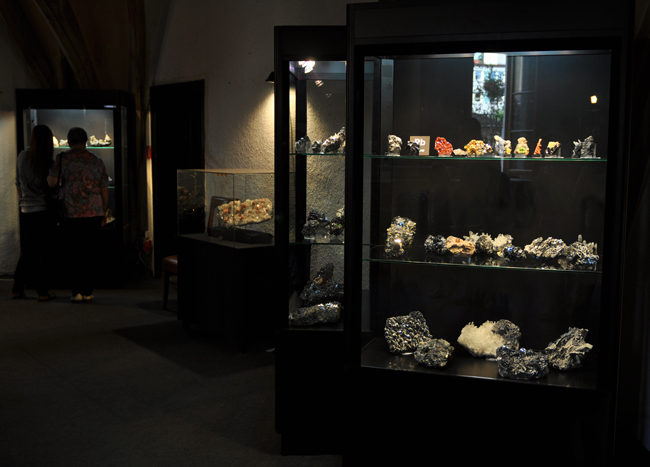 Cabinet with lead minerals visible in the foreground. Fot. J. Gajowniczek.